To extract metadata from Salesforce object, right click an edge and select New metadata → Extract from salesforce from context menu. 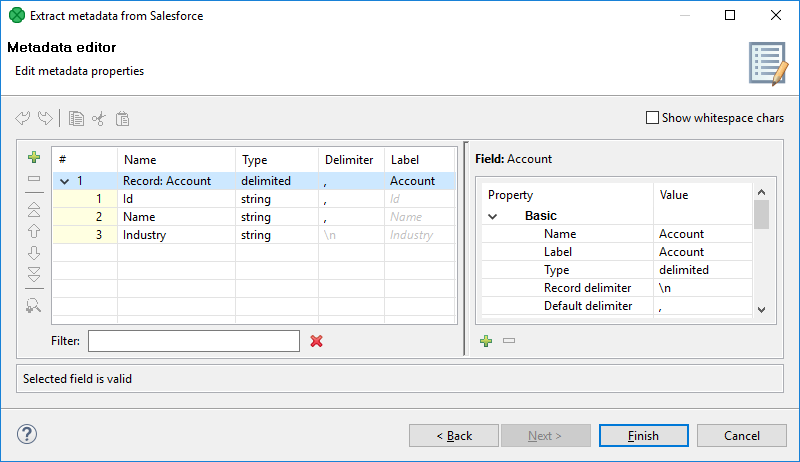 A wizard for metadata extraction from Salesforce opens. 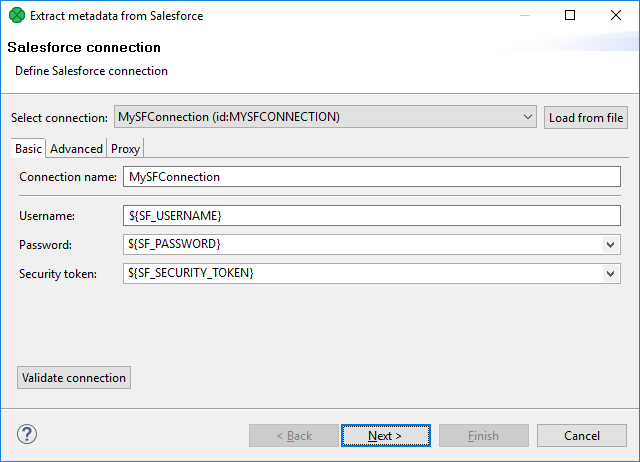 In the first step, select an existing Salesforce connection or create a new one. In the second step, enter an SOQL query. 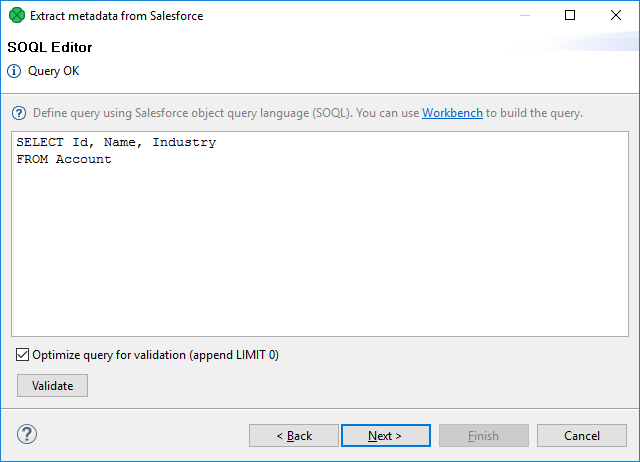 You can use Workbench, https://workbench.developerforce.com/, to create an SOQL query and then paste the query to this metadata extraction wizard. In the last step, check the created metadata. In this step, you can do some customization, e.g. you can rename the record.